To say that my mother is happy to have us around would be an understatement. On Friday we picked up some pizzas and headed out to my sister’s house- dog and all. It was loads of fun. While I was out taking photos of my niece my mother was doing this. 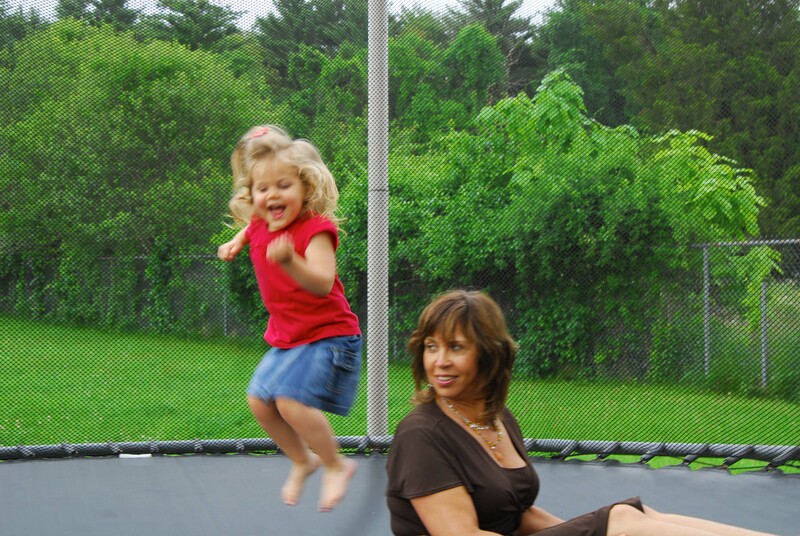 After my mom spent some time jumping around we had to hose down the trampoline. Eerm can we say weak bladder? 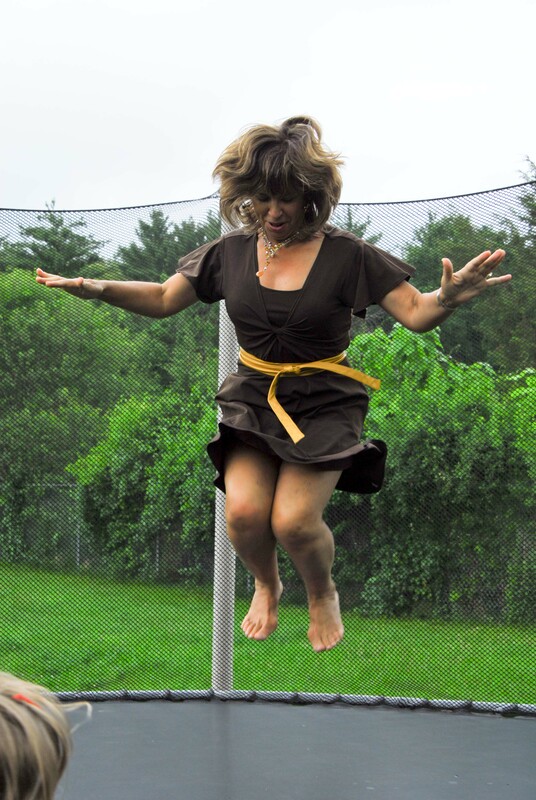 How cool is that…your Mum trampolining! Those are the sweetest pictures… she has such a smile on her face. I love it! LOL – ah, it stinks getting older! Love the photos. Was your Mum a child bride? 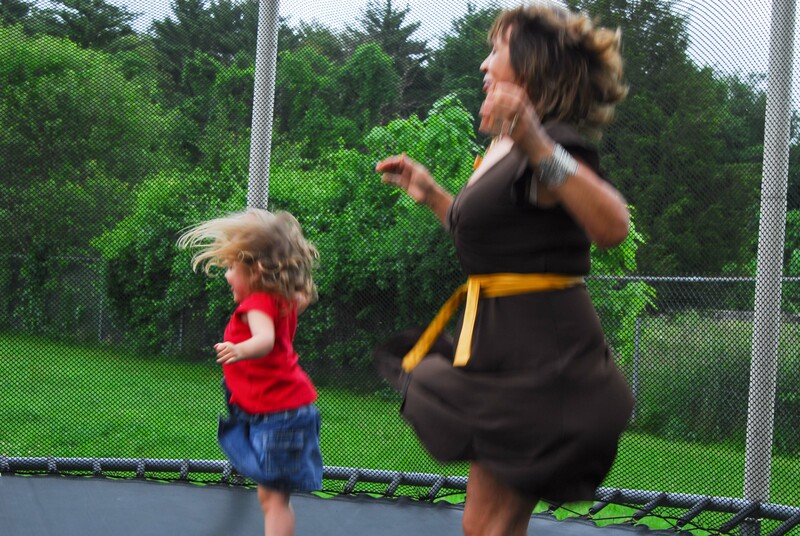 We saw some trampolines the other eveing but I got told I was too old by the owner. He insisted I had to be under 16 to have a go. so funny and cool all at once!! yay! !